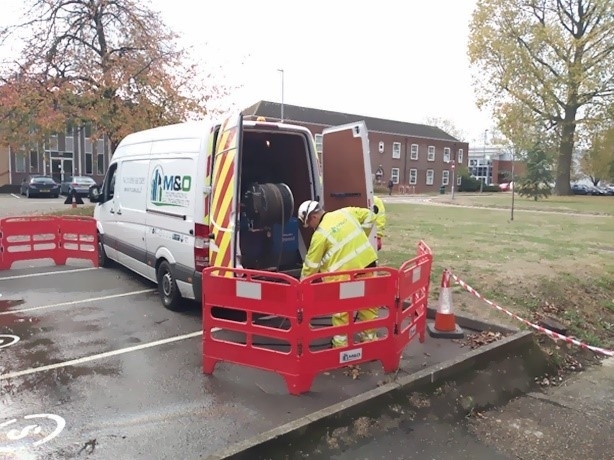 Luton-based contractor M&O Construction is one of the few companies in the UK that specialise in the de-silting and high-pressure jetting of telecom cable ducts and comms boxes in preparation for the installation of new fibre-optic cabling. To do this work more efficiently they sought the help of Rioned and a bespoke jetting solution designed specifically for the job. To meet demand for ultra-fast broadband, companies such as BT are investing billions in the UK’s fibre-optic infrastructure. In doing so service providers such as Openreach and Telent are repurposing large amounts of the existing telecoms network, which requires that old ducts are thoroughly cleared and cleaned. Dave Angel, Drainage Director at M&O, has over 20 years’ experience in the drainage sector and says that his team have been cleaning telecoms ducts ready for new fibre optic cabling since 2015. He explains that the firm’s drainage operators had originally used gully machines (jet/vac combination units) for removing the build-up of deposits in the ducts and boxes, but there were several issues with this method. Already familiar with Rioned equipment, M&O approached Rioned about finding a solution. 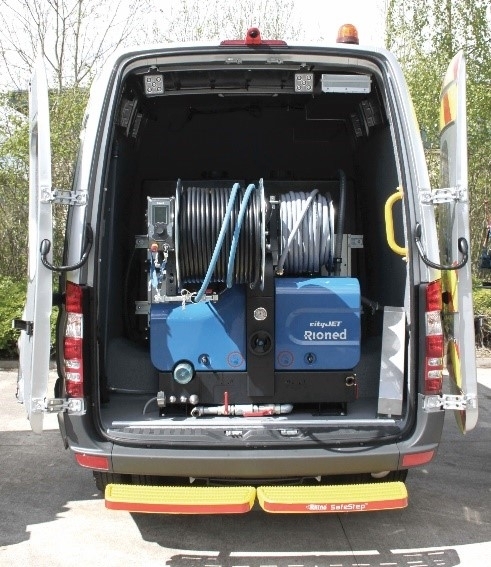 The CItyJet seemed like an ideal solution; a low-weight, high performance van-pack jetting unit producing pressure up to 3600 psi/13 gpm that was more than capable of removing solidified deposits. To meet the specific requirements of the M&O team, modifications were made to the standard CityJet unit, including the installation of the Riopulse pulsator system for improved hose feeding and retrieval. The pulsator unit operates by creating a vibrating or pulsing action on the hose when using pressurised water. The pulsing action minimises hose drag by reducing the surface contact of the hose on the duct. With the assistance of the water jet nozzle, the hose is propelled further and faster into the duct. Further modifications comprised fitting a 250m 1/2” hose to the standard 180° pivoting hose reel, enabling easier access to the comms boxes and passage through the ducts.